The ID roller burnishing tools are available for burnishing. ID Burnishing Tools produce fine surface finishes and control size in ID surfaces. The tools are easy to set for diameter with the micrometer adjustment nut. Different tool designs are available based on application diameter and length. Standard Burnishing Lengths are available to suit the regular applications. However, tools with customized burnishing lengths can be manufactured according to the parts. The minimum internal diameter burnishing range starts from above 5mm. Although there is no limit to the maximum diameter, we limit the diameter of the tool for practical purposes. 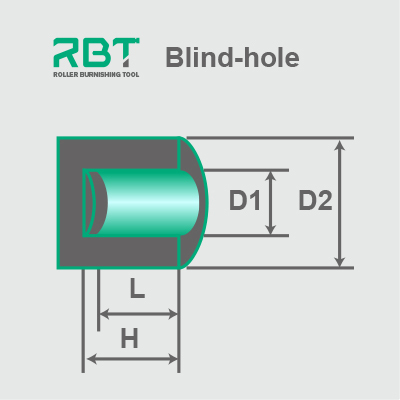 The diameter of the roller burnishing tool can be adjusted to a limited range to set the initial diameter. 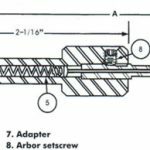 The adjustment range varies depending upon the size of the tool. Tool holding Shanks are available in Morse Taper (MT), Straight/Round, BT or any other as per the request. Any Ferrous or Non-Ferrous item can be burnished. Normally ferrous materials with a maximum natural hardness of 35HRc are recommended for burnishing operation. Heat Treated jobs are not recommended for burnishing process. ID Burnishing Tools can be fitted for use in any spindle driven machine. 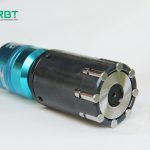 Normally these tools can be used in CNC Turning centers /Vertical Machining center/Conventional Lathes / Pillar drilling machines or any other Special purpose machinery. Special Internal Roller Burnishing Machines are used for higher productivity. 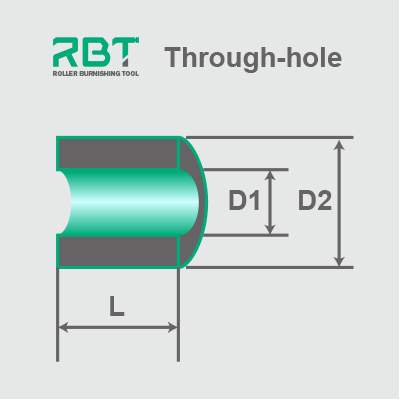 RBT, gaining an experience of many years, we are serving the worldwide market by designing engaged in manufacturing, trading, supplying and exporting of Roller Burnishing Tools, Internal Diameter Burnishing Tool & External Diameter Burnishing Tool. Our range is well known for quality, durability, efficiency, flawless operation and allied features. ← Précédent Comment acheter le meilleur outil de brunissage de rouleau?